Earn Double Points on your IBM LTO-4, LTO-5 and LTO-6 Data Cartridge Purchases in March 2015. 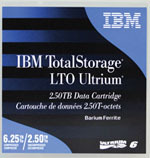 That's right, purchase IBM LTO Ultrium Tape Media from BackupWorks.com in the month of March and earn double points via the IBM Tape Media Rewards Program. Use Promo Code MARCH2X. 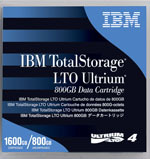 The IBM Tape Media Rewards Program - Where the benefits of purchasing IBM 3592 and LTO Ultrium Data Cartridges extends even further that the security of your stored data. It's easy to sign up, simply purchase an IBM 3592 or LTO Ultrium Data Cartridge, track your invoices, accumulate points and earn valuable rewards. The IBM Tape Media Rewards Program is exclusively for the corporate end-user. Below are some genreal Rules and Regulations as it relates to the IBM Tape Media Rewards Program for LTO Ultrium and and IBM 3592 product offerings. Corporate end-users only within the United States are eligible to participate in IBM Tape Media Rewards Program. Member must be a corporate end-user. Each participant must be eighteen (18) years of age or older. Membership in IBM Tape Media Rewards Program, any points earned utilizing IBM Tape Media Rewards Program, or any other related membership benefits are not transferable. Complete the online Registration Form. After registration is complete, and login ID and password have been established, the Member account is then eligible to earn points. Read the Terms and Conditions of the IBM Tape Media Rewards Program. 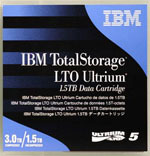 Purchase IBM 3592 JD, JL, JZ, JC, JK, JY, JB, JX, JA, JW, JJ or JR data cartridges or IBM LTO Ultrium 1, 2, 3, 4, 5 or 6 data cartridges and save your invoices. Log onto the Tape Media Rewards website. Click on My Account and then on the Claim Points tab. Enter your purchase information including invoice date, invoice number, reseller, type of product purchased, quantity and price. Click on Submit. An email version of the Point Claim Summary will be sent to the email address associated with your account which lists invoice information and instructions for submitting invoice copies. Note: If your proof of purchase is not received within 14 days, your point claim will expire and be removed from your account. Proof of Purchase Receipt: A confirmation email will be sent to your account email when your proof of purchase back up is received. Proof of Purchase Review Process: Allow 2 weeks for your proof of purchase back up to be reviewed. Claim Acceptance: An email will be sent to your account email acknowledging that your claim has been accepted. Points will be deposited into your account and are immediately available for redemption. Claim Decline: An email will be sent to your account email acknowledging that your claim has been declined. A full explanation will be provided in regards to the reason for decline. You may need to provide further details for your purchase. Common reasons for decline include illegible or incomplete invoice backup, duplicate invoice information or missing invoice backup. Log onto the Tape Media Rewards website to check your point balance. Your available point balance will be displayed in the top right-hand section on each page. For more detailed information pertaining to your Tape Media Rewards activity, go to the View Points screen. Click on Rewards, then select by point level to view the rewards available for redemption. Select the reward by clicking on Add to Rewards Cart. Select Checkout after all of the rewards you wish to redeem are placed in your Cart. Choose the shipping address for your reward. The system will automatically default to your account profile address. To ship to an alternative address, click on the Add a New Mailing Address link and update the shipping address. Review the information on the Order Confirmation screen. Verify rewards, shipping address and contact information. You may alter your reward selections on this page by using the Update or Delete functions. Once you have verified that all information is correct, click on the Submit Order button. An order confirmation email will be distributed to your account email. Rewards will be shipped within 4 to 6 weeks. An auto response will be sent to your account email confirming the shipment and tracking number. All merchandise will be shipped via UPS, FedEx or USPS. Reward shipments cannot be made to P.O. Boxes. Reward shipments cannot be shipped outside of the 50 United States. Participants may return and exchange merchandise rewards within 30 days for any reason. Returned merchandise must be returned in its original packaging with all packing materials, accessories, plastic bags and manuals. Please email assistance@tapemediarewards.com for instructions and questions. Refunds will be issued in points only. Defective/damaged rewards must be returned within thirty (30) days of receipt and will be replaced by IBM with the same or similar reward. Returned merchandise must be returned in its original packaging with all packing materials, accessories, plastic bags and manuals. If a reward is out of stock, IBM will hold the redemption order until the selected reward is available to be sent to the program participant.